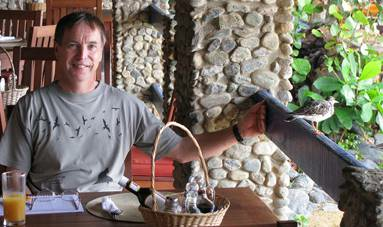 I am a professional ornithologist and tour guide, with over 30 years experience of leading groups to watch wildlife in every continent. 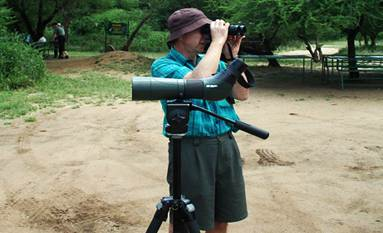 With a lifelong interest in observing birds, I can help you find and identify the species that you most want to see. 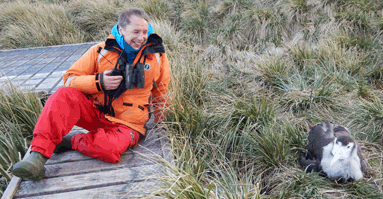 I take the strain out of your travels, working with colleagues in the UK and abroad to ensure that you get the most out of your wildlife experience. You can take a look at my Blog - where I regularly post my recent travel experiences, wildlife sightings, future plans and environmental snippets! 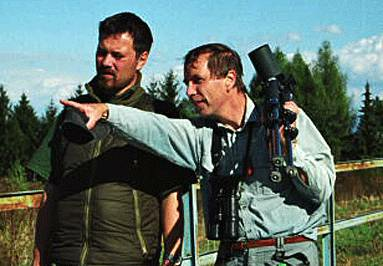 Since 1977 I have been leading bird-watching tours, almost all for the British company, Ornitholidays. 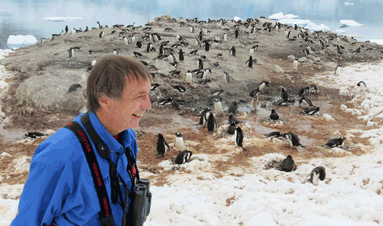 I have led over 300 tours, to 70 countries in all seven continents. This includes over 50 in Africa, 50 in Asia, and 50 in South America. 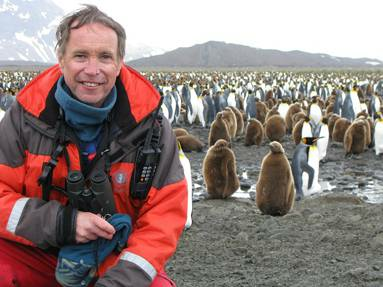 Recently I have worked on expeditions around the UK, in the South Pacific and in Antarctica, South Georgia and the Falklands, helping the passengers identify the bird-life, giving presentations, and inspiring them to appreciate the natural world. I am also available to guide you on your own tailor-made itinerary in the UK or further afield. Birds have always been my first love and focus, but I am also interested in wild places and all other aspects of the natural world. Feel free to contact me. I was born in Leicestershire, where my father had a small farm. I began watching birds at the age of 12, and have rarely put my binoculars down since! At that time we lived in rural Gloucestershire, on the edge of the Cotswolds. I discovered that I could remember any bird-song I heard once, and have never forgotten them. I have a degree in Classics from Oxford University (useful for understanding scientific names!) and a M.Sc. in Environmental Conservation from Edinburgh. After a short spell in North Yorkshire in local government, where I planned to try national parks administration, I took up a summer job with the RSPB, first in Shetland (wardening breeding Snowy Owls), and later at Minsmere in Suffolk. 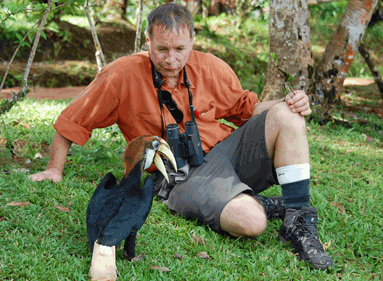 For the last 37 years I have made a living leading wildlife tours (mostly Ornitholidays bird-watching tours), tours), to all 7 continents: over 300 tours in all. 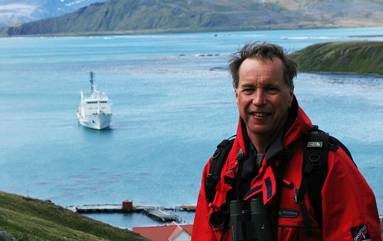 I have also worked on 20 voyages to Antarctica, three to Spitsbergen (Svalbard), three in Arctic Canada, three around the British Isles, two to the South Pacific, and one each to the Amazon and Sea of Cortez (Mexico). Having turned my first hobby into work, I have found some new ones: wildlife gardening, cricket, snorkelling, baking bread and playing traditional Irish jigs and reels on mandolin. I've lived in the same cottage on the Welsh borders for 35 years, now with my wife Clare and son Douglas. Over the last 30 years I have travelled to many far-flung places and my choice of destination has largely been influenced by knowing that Simon will be the tour leader. He has a unique combination of skills. By virtue of his depth of knowledge, his enthusiasm and patience, his sensitivity to the abilities of his clients and his sense of humour he adds an extra dimension to an already exciting itinerary. I have an implicit trust in his ability to cope with any situation that may arise. He has never let me down. knowledge, flexibility and personality. He has an in-depth knowledge which he enjoys sharing, plus he does his research thoroughly. He has the flexibility to make everything still work when the unexpected happens. And finally and perhaps most important for a tour guide, his personality is such that he is good company for extended periods. If you have any questions or comments please contact me with the following form; I will get back to you as soon as I can. All photos © Simon Boyes. White (or Fairy) Tern (South Pacific Oct 09), Mikado Pheasant (Taiwan Apr 11), Polar Bear (Svalbard Jul 06), Puffin (Hebrides May 09); Mountain Gorilla (Uganda Sep 11), King Penguin (South Georgia Nov 11), Australian Owlet-nightjar (Alice Springs Oct 06), Lilac-breasted Roller (North Tanzania Mar 07). The servers powering this website use 100% renewable energy. Copyright 2011-17 - Simon Boyes - All rights reserved.